A TRIBE who have been catching fish with spears for centuries have evolved to enable them to dive to extreme depths. The Bajau can hunt hundreds of feet below the surface because their enlarged spleens raise their oxygen levels, a study shows. It is the first known example of a human adaptation to deep diving. Melissa Ilardo, from Cambridge University, started the project as a PhD candidate. She said: ‘We know deep diving seals, like the Weddell seal, have disproportionately large spleens. 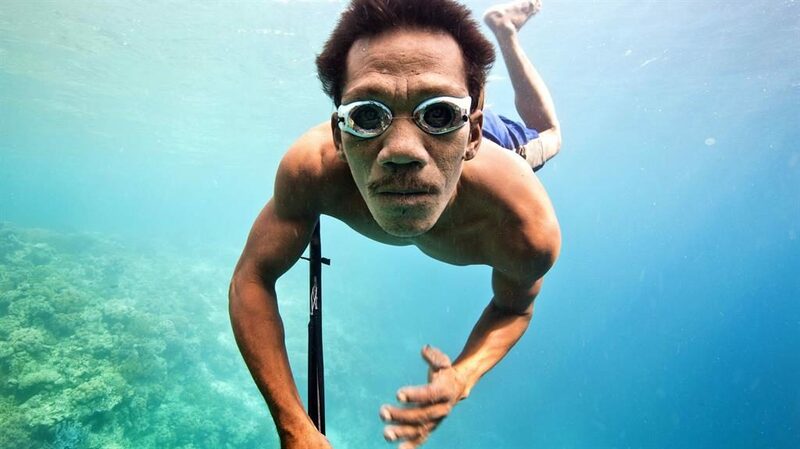 The Bajau, known as Sea Nomads, have wandered the oceans for more than 1,000 years. They live in boats and stilt houses around Indonesia and Malaysia. Renowned for their breath-holding ability, they can dive up to 230ft aided only by a set of weights and wooden goggles. Ms Ilardo found the spleens of Bajau living off Jaya Bakti, Indonesia, were 50 per cent larger than those of their land-dwelling neighbours the Saluan. It helps their diving because the spleen reacts to submersion in water by injecting oxygenated red blood cells into the circulation.